Antonio Blakeney is a professional American basketball player associated with the Chicago Bulls of the NBA. The youngster has shown resilience and great attributes of a superstar. Despite his falling out of the NBA draft of 2017, Blakeney has fought his way through to the pro-basketball league. After the 2017 draft, Antonio made a brilliant performance in the NBA Summer League; thus landing an NBA contract with the Bulls in July 2018. He finished his collegiate basketball career at Louisiana State University. Antonio Blakeney was born in New York City on October 4, 1996. He was raised by his mother Tequisha Blakeney along with his two other brothers named Dontrez Jones and Tyrieke Blakeney. Nothing much is known about his father. He started playing basketball from his high school days at Oak Ridge. While he was there, he played under the guidance of Coach Alex Jackson. Antonio averaged 2.7 assists, 6.9 rebounds, and 29 points per game during his senior year in 2015. He participated in the McDonald’s All-American game that was held in 2015 and was the recipient of Florida’s Mr. Basketball Award. At the end of his high school career, Blakeney got a five-star rating from ESPN, Rivals.com, and 247Sports. He finished as the third-best shooting guard in the nation, as well as one of the top college prospects of his class. During his college career, Antonio Blakeney first committed to the University of Louisville but rather chose Louisiana State University instead. Playing for the LSU Tigers, Blakeney appeared in 34 games during his freshman season and made an average of 3.5 rebounds and 12.6 points per game. He was teammates with Ben Simmons and Keith Hornsby. Finishing his freshman year, Antonio led the Tigers in three-point shooting; he made 52 three-points throughout the season. His wonderful performance in the season earned him a spot in the All-SEC Freshman Team. The following year, Antonio Blakeney led the Tigers in scoring; thus, averaging 4.8 rebounds, 1.7 assists, and 17.2 points per game. His impressive sophomore season attracted the attention of many NFL scouts. By the end of the 2016/17 season, Antonio was named to the All-SEC Second-team and All-Louisiana First team. He further announced that he would forgo the rest of his college career in order to join the NBA draft of 2017. Antonio Blakeney didn’t make it to the NBA draft of 2017 because he was considered an undersized player for an NBA shooting guard. Although he has a great wingspan, Antonio didn’t have the standout height to compensate. After the draft, he joined the Chicago Bulls for the NBA Summer League of 2017. Following his remarkable performance, the Bulls offered the youngster a two-way contract which includes playing for the NBA G-League affiliate Windy City Bulls. During the 2017/18 season, Antonio shared his playing time between the Bulls and their G-League affiliate. He made his first professional appearance for the Bulls in their game against the Toronto Raptors on October 9, 2017. He also made a great impact for the team in their game against the Los Angeles Lakers on November 21, 2017. Although the Bulls lost to the Lakers, Antonio scored a total 15 points in the game. He featured consistently for the Windy City Bulls and following his impressive performance; he was named the NBA G League Rookie of Year. 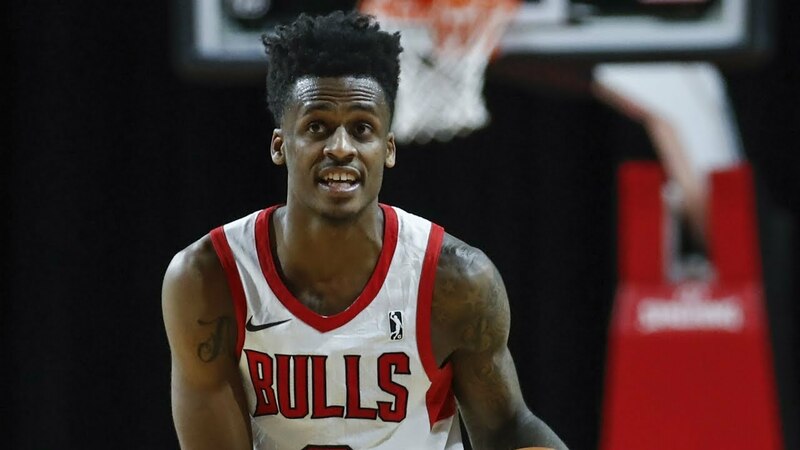 In July 2018, the Chicago Bulls offered Blakeney an NBA contract which he signed on July 19, 2018. 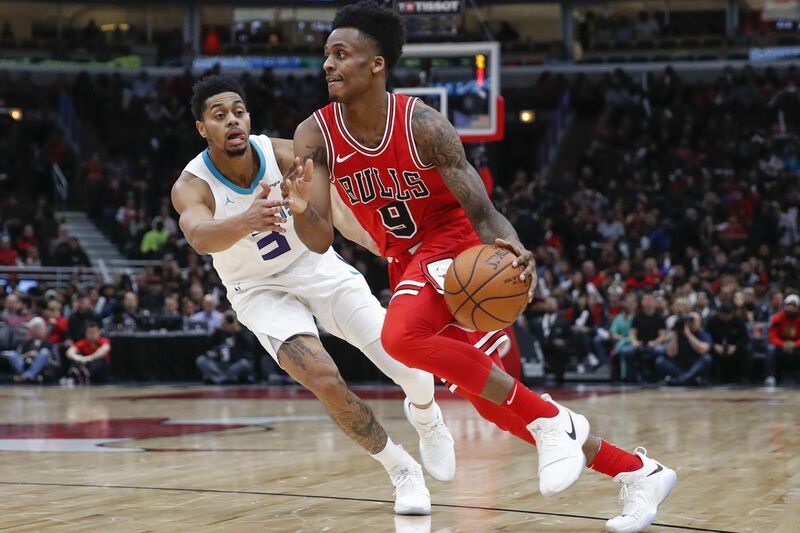 While the basketball star Antonio Blakeney has been struggling to carve a niche for himself in the NBA; many of his fans have been itching to have a sneak peek at his love life, nevertheless, they are getting little or no answers. Well, if you must know, Antonio has never had the time to play the love game; he enjoys keeping his love life under the shades, hence nothing could be said about his girlfriend or wife. Notwithstanding, he has never been linked to any relationship or anyone to date. He is currently focused on getting to the peak of his basketball career and we wish him the very best. 1. Height: Antonio Blakeney is of average height; he stands at a height of 6 feet 4 inches. 2. Weight: Blakeney has a body weight of 89 kg (197 lbs). 3. He was raised by a single mother Tequisha Blakeney. 7. Antonio Blakeney shares the same height with top NBA guards stars such as Dwayne Wade and Tony Allen.